43,703 students from 360 public and private schools participates in the 2017 survey. From 2007 to 2017, daily marijuana use was mostly steady among 8th, 10th, and 12th graders. 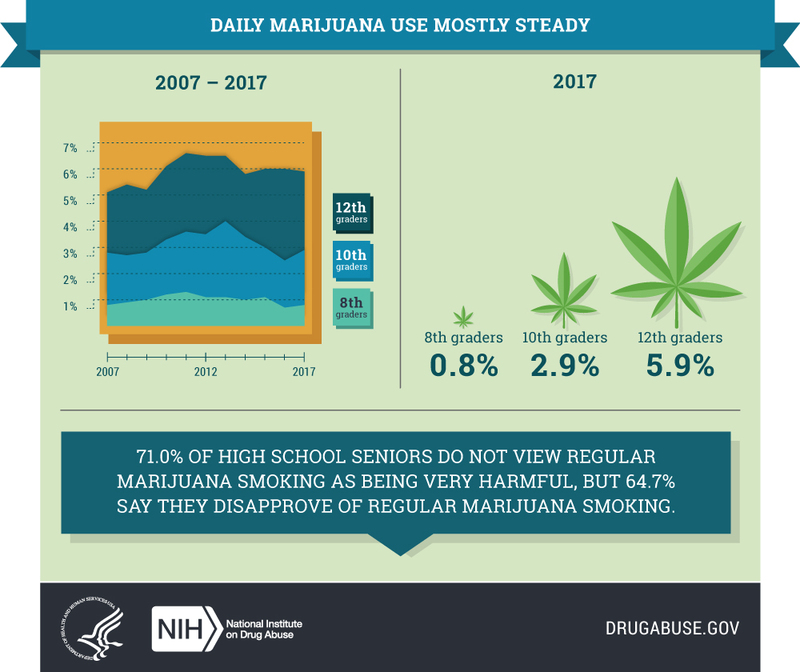 71.0 percent of high school seniors do not view regular marijuana smoking as being harmful, but 64.7 percent say they disapprove of regular marijuana smoking. 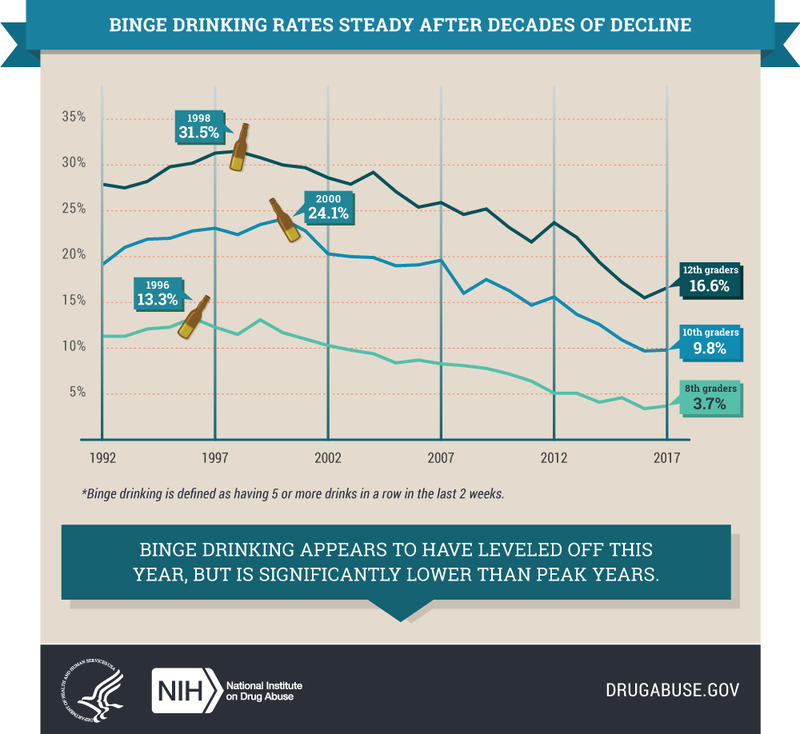 Figure 2: Binge Drinking Rates Steady after Decades of Decline. Since 1992, binge drinking (five or more drinks in a row in the last 2 weeks) appears to have leveled off this year, but is significantly lower than peak years. 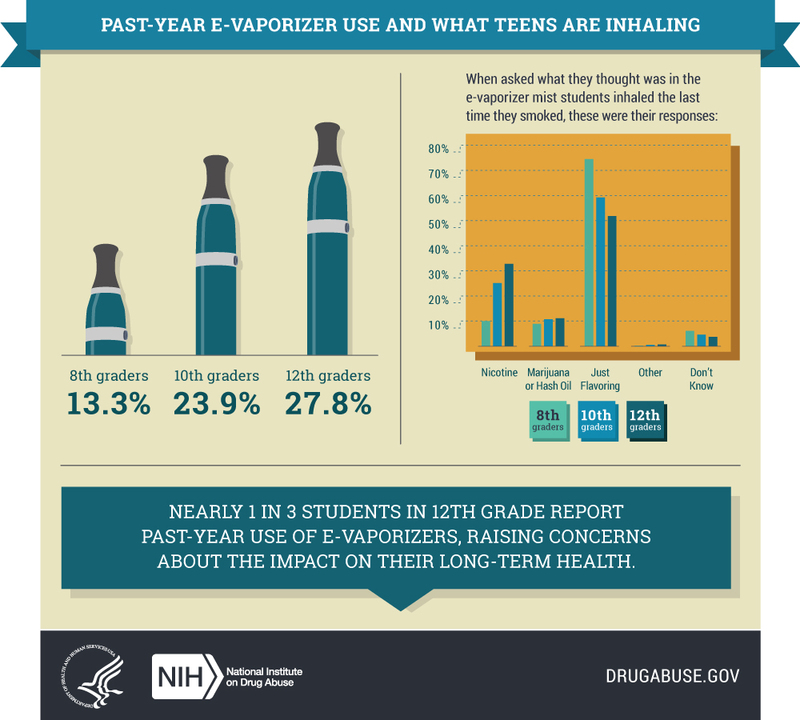 Nearly 1 in 3 students in 12th grade report past-year use of e-vaporizers in 2017, raising concerns about the impact on their long-term health. 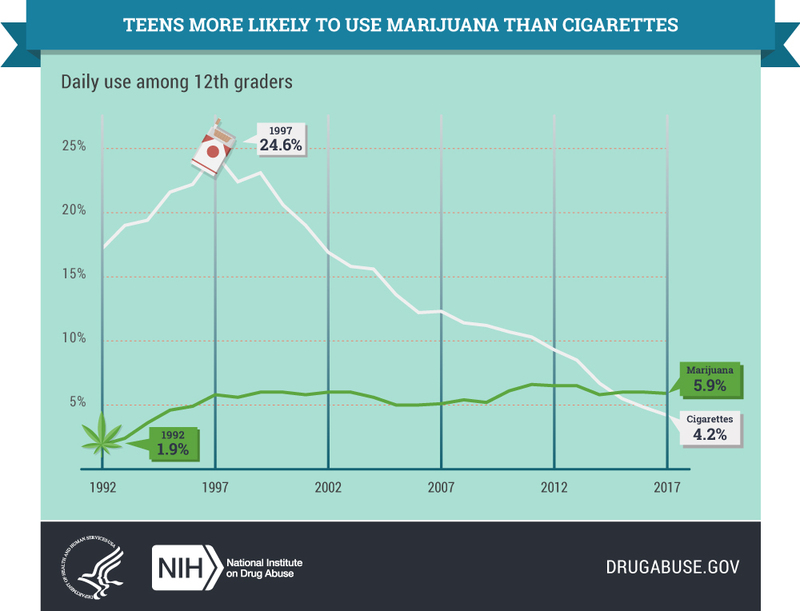 Since 1992, there has been a significant decline in daily cigarette use among 12th graders, while the rate of daily marijuana use has increased. In its peak year (1997), daily cigarette use among 12th grades was 24.6 percent, compared to a rate of 4.2 percent in 2017. In its lowest year of use (1992), daily use of marijuana among 12th graders was 1.9 percent, compared to a rate of 5.9 percent in 2017. 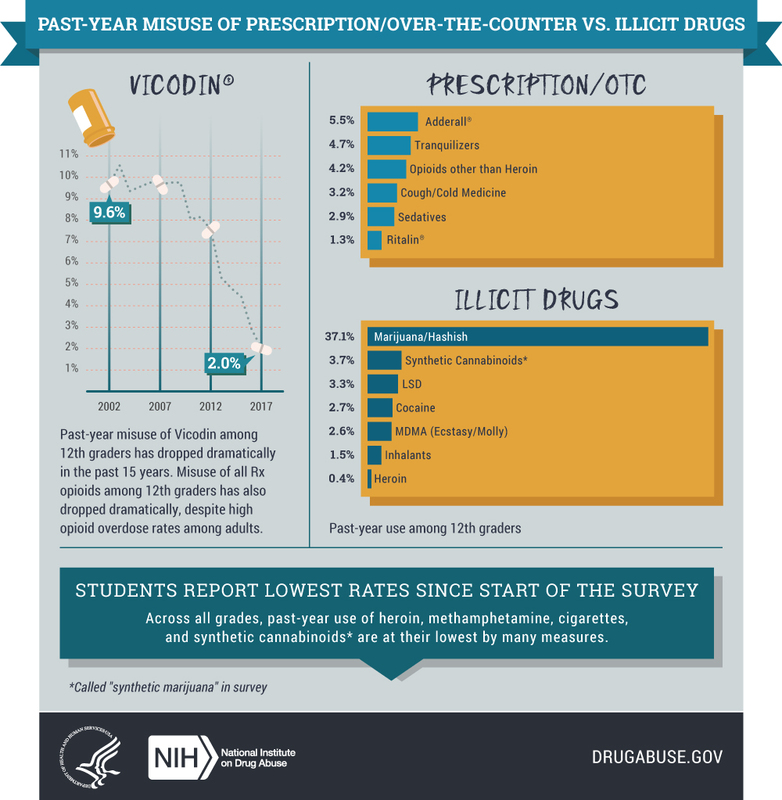 Past-year misuse of Vicodin® among 12th graders has dropped dramatically in the past 15 years, from 9.6 percent in 2002 to 2.0 percent in 2017. 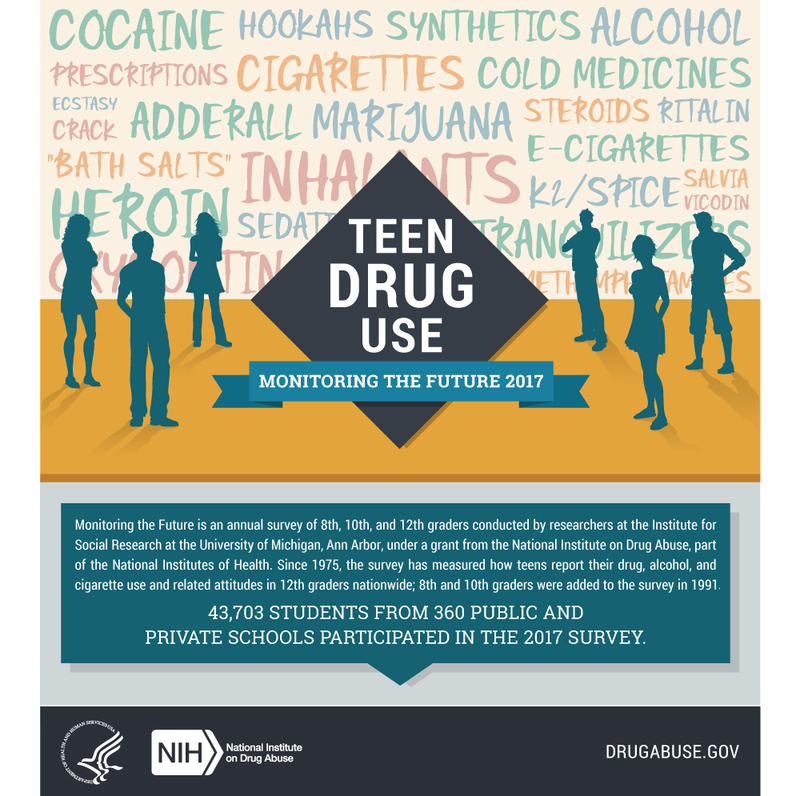 So has misuse of all prescription opioids among 12th graders despite high opioid overdose rates among adults.